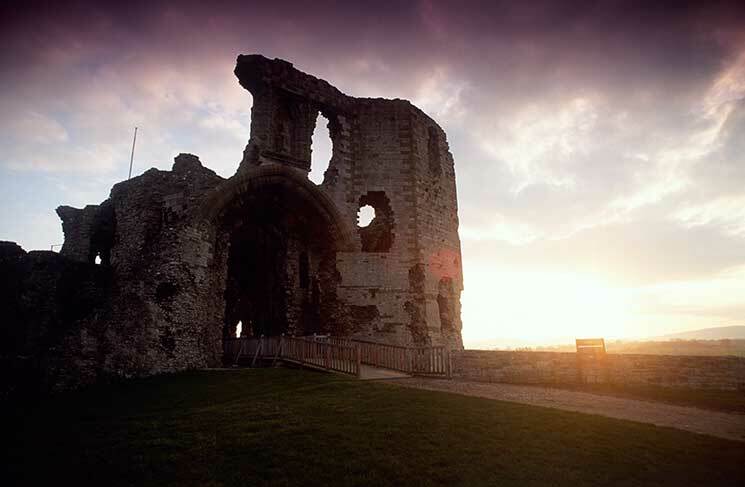 This Welsh fortress complete with its striking triple-towered gatehouse that stands guard over the medieval town of Denbigh has town wall walks for visitors and interpretations of the monument. Kilchurn Castle was built for Sir Colin Campbell of Glenorchy and was greatly extended in 1693. It continued to remain in the ownership of the Campbell family until the 18th-century when it was greatly damaged after being hit by lightning and began to fall into disrepair. Today the jagged outline of this ruined castle is made even more memorable by its stunning location looking out over the northeast end of the appropriately named Loch Awe. 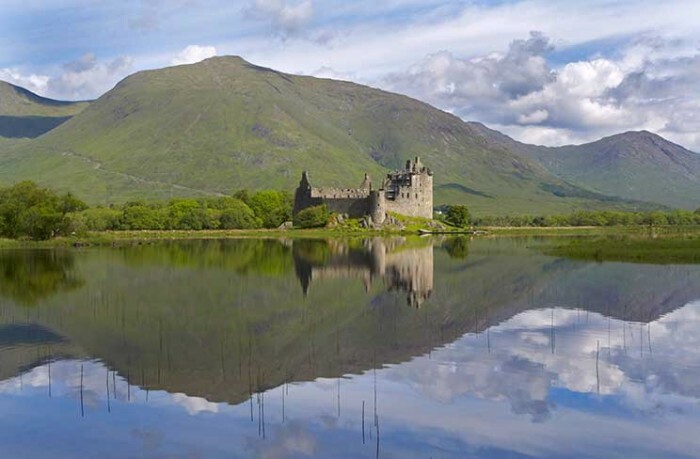 The ragged remains of the four-storey tower are surrounded by sweeping mountains and the glistening waters of the loch, making this spot a perfect location for long secluded walks and romantic water-side picnics. 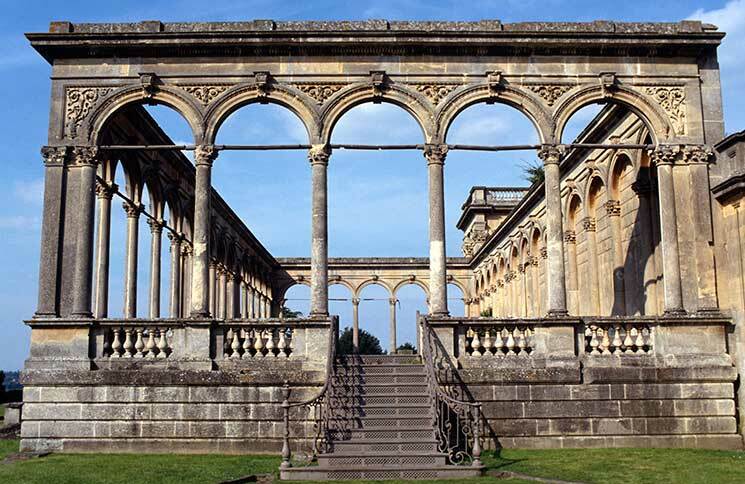 Beautifully landscaped grounds surround the picturesque ruins of this palatial 19th-century mansion, providing the perfect backdrop to a romantic day out. Stroll around the grounds and discover the impressive and immense fountains, the largest of which depicts the love story of Perseus and Andromeda from Greek mythology, who fell in love after Perseus saved Andromeda’s life by rescuing her from a sea monster and certain death. The fountains are made even more dramatic by their jets of water that can reach up to 120-foot high. As well as looking resplendent in the daylight, the abbey is often illuminated at night, providing an enchanting scene for all those passing by. 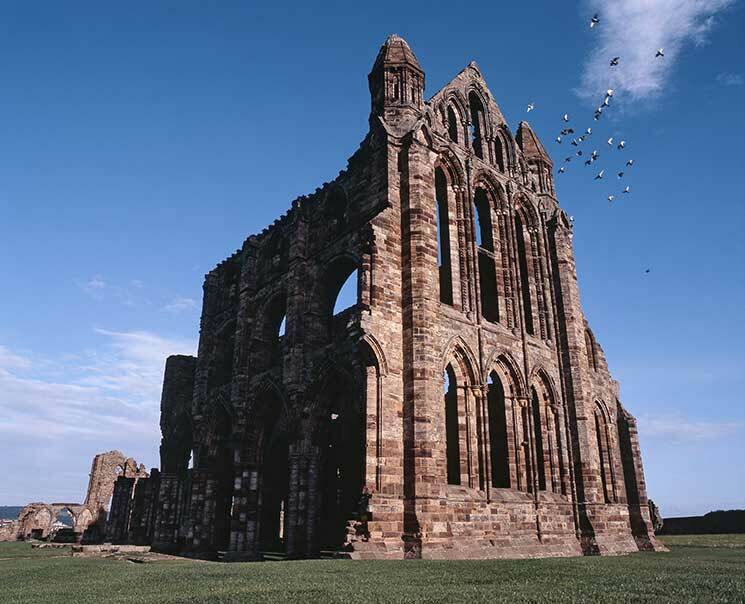 The abbey’s oldest brickwork dates from 1131 and its architecture spans 400 years. 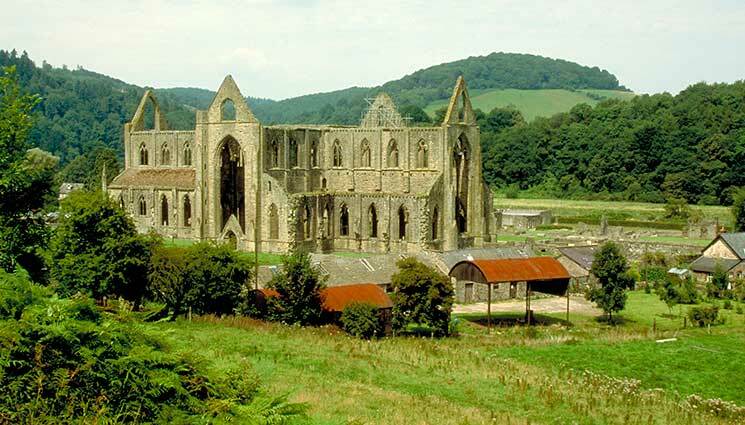 Although the abbey is missing its roof and some interior aspects, the building remains largely complete, giving visitors the wonderful experience of strolling along the grass within the abbey walls, between huge columns that reach up to the open sky above. 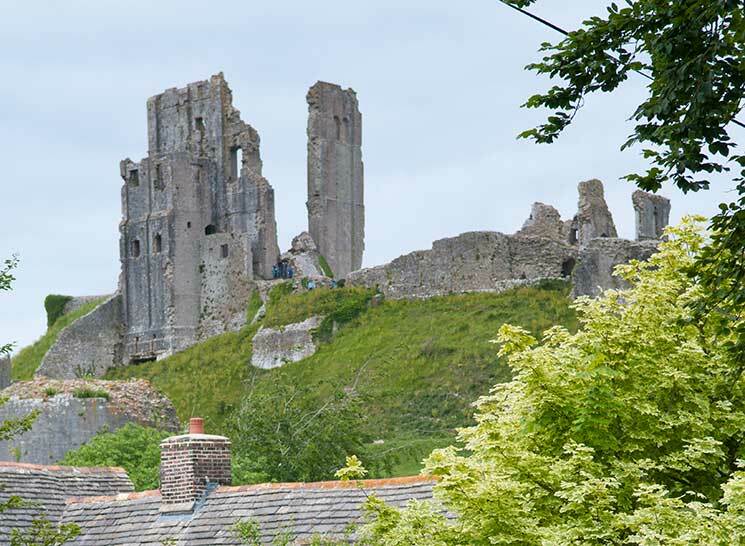 Perched on top of a 55-metre mound, the ruins of this ancient castle constructed of Purbeck limestone sprawl out over the hilltop. The first foundations of the castle were laid over 1,000 years ago and since then it has been used as a royal residence, a private home, treasury and military garrison, each leaving their mark on the site and helping to create today’s atmospheric ruins. After the castle’s occupants spent 600 years having to defend it from various onslaughts, an Act of Parliament was passed in 1646 ordering the destruction of the castle. It was left to Captain Hughes of Lulworth to carry out the task by digging deep holes filled with gunpowder to topple the towers and ramparts. 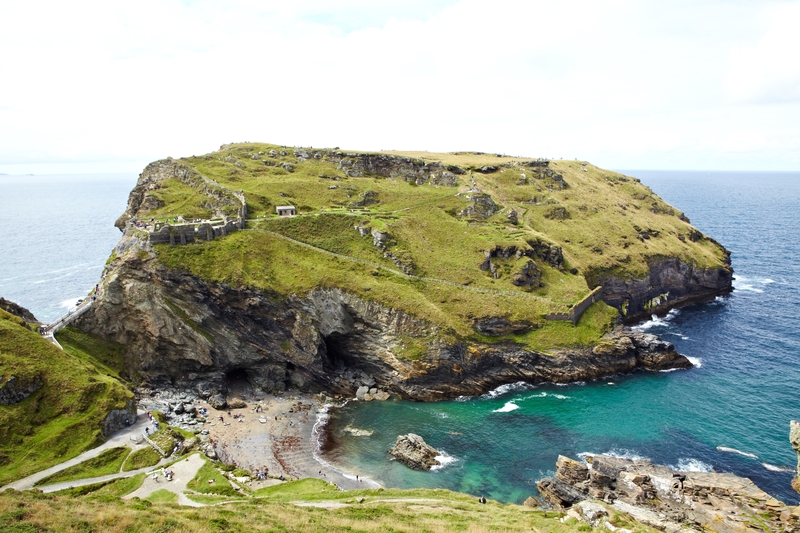 Clinging to Cornwall’s dramatic coastal cliffs, the ruins of Tintagel Castle are steeped in myth and legend. The crumbling remains that can be seen at the site today date from 1233 and were built for Richard, Earl of Cornwall. Before this, the site was rumoured to be the place of King Arthur’s conception and you might like to pay a visit to the nearby ‘Merlin’s Cave’ after taking the steep track down to the castle walkway.